The exhaust masters at Milltek Sport have developed a new Cat Back system for the all new mk3 Focus RS. Milltek have enhanced the sound giving it a subtle change in tone without being invasive. Tip selection allows you to choose the right personal style for your vehicle, ranging from standard polished tips to full race spec titanium. The pipework is a full 3" bore allowing maximum gas flow and efficiency, ironing out any restrictions and producing more performance. Milltek have stuck to their usual ethos of hightening your driving experience without comprimising on day to day comfort and driveability. The lifetime warranty ensures your pride and joy will run with no exhaust issues in the future, making it not only an upgrade but an asset to the car. Buy the best, buy Milltek. The Pumaspeed Workshop team are ready to fit the Ford Focus RS MK3 Milltek Cat Back Exhaust (Non Resonated) in our Head Office located here. Therefore making parts and labour a total cost £1,210.90 (inc. VAT). 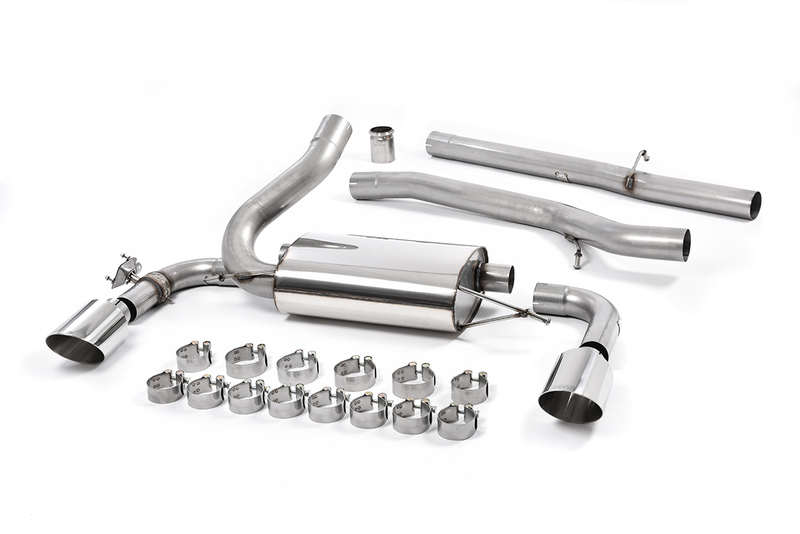 Pumaspeed have a specialist distribution team that can dispatch the Ford Focus RS MK3 Milltek Cat Back Exhaust (Non Resonated) to any destination worldwide.